I just decided to try with these proportions. It turned out really good and not too sweet. The only trouble is finding these ice candy bags. In a bowl combine (1) stir until condensed milk is mixed in well. Add (2) include the liquid with coconut and stir. 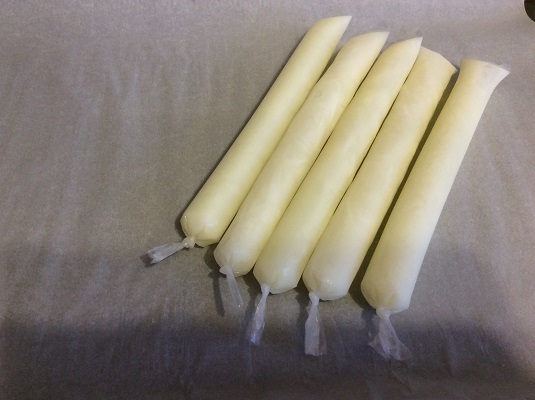 Fill ice candy bag (size: 1½ x 10) and freeze. Add (2) include the liquid with the coconut and stir. Fill each with 25g coconut and fill with liquid.